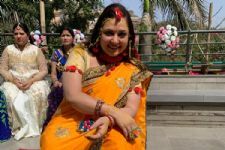 Diya Aur Baati Hum actress Surbhi Tiwari ties the knot with her Pilot fiance in Delhi! 2000's hit TV show Shagun's Aaradhana aka Surbhi Tiwari is now officially married to her fiance Praveen Kumar Sinha. The business man hubby of Surbhi is a Delhi based pilot. After two days of pre-wedding festivities in both the bride's and groom's home, the two took the vows last night. Talking about her hubby to a leading daily, Surbhi said,"He is the anchor I was looking for so long. He has been extremely supportive of my career and loves me the way I am. At a time when most people expect their suitors to be in shape, he didn't mind me being overweight. I have had health issues because of which I put on weight, but he doesn't mind it." At her sangeet, she performed to the hit title track of Shagun and talked about it to the media too. 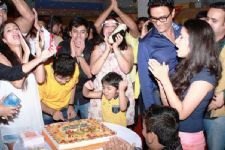 She said,"At the sangeet, along with other songs, I will be performing to the title track of Shagun, as it has always been my dream to do so. My actor friends will perform, too." Well, we wish Surbhi a happy married life. Cheers from all of us at India-Forums. WHAAT? 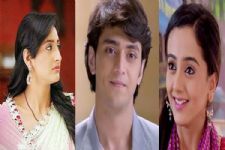 Aryan to get MARRIED to someone else, leaving Sanchi in 'Ek Rishta Saajhedari Ka'.? 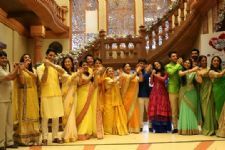 Kavita Barjatya Productions launches Ek Rishta Saajhedari Ka on Sony TV! Rahul Khanna shares a childhood picture of himself with his father!